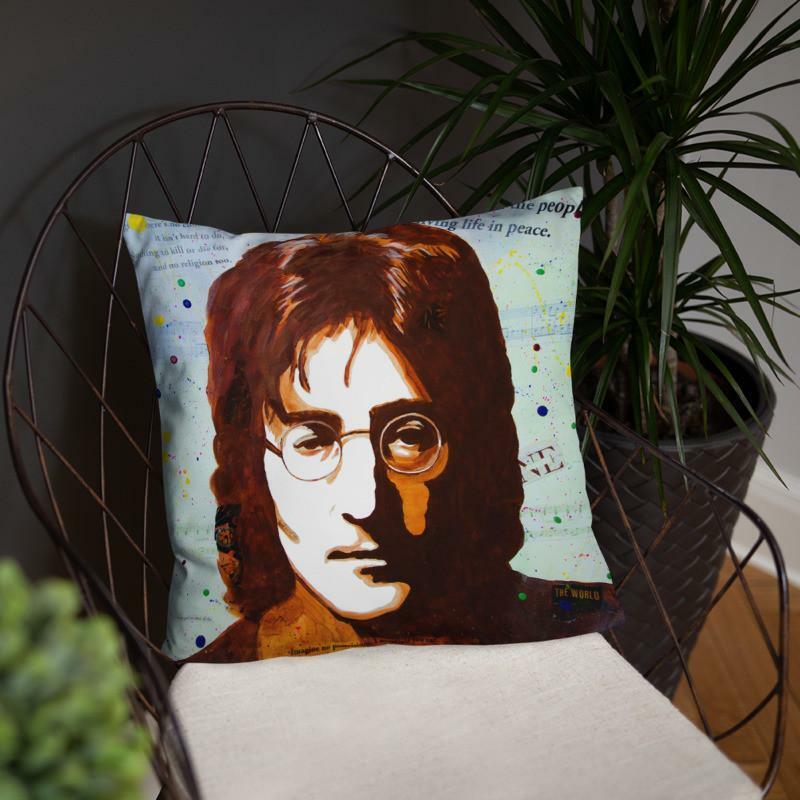 Now you can get this John Lennon portrait on a square pillow by artist Deb Breton. This soft pillow is an excellent addition that gives character to any space. It comes with a soft polyester insert that will retain its shape after many uses, and the pillow case can be easily machine washed.